While the hot weather in the UK kept some audiences away from cinemas (but not us, of course!) there were still a number of brilliant films to watch. For me, the month started poorly with the misjudged Sicario 2: Soldado. However, things soon picked up with one of my favourite films of the year so far, Debra Granik’s Leave No Trace. Thought-provoking and unsettling horror thriller, The Endless, came next followed by powerful true life story, Adrift, and Kevin McDonald’s documentary film about what happened to Whitney Houston - Whitney. By the middle of the month, we had landed firmly in blockbuster territory with Dwayne Johnson’s entertaining Skyscraper and the welcome return of our favourite superhero family in Incredibles 2. 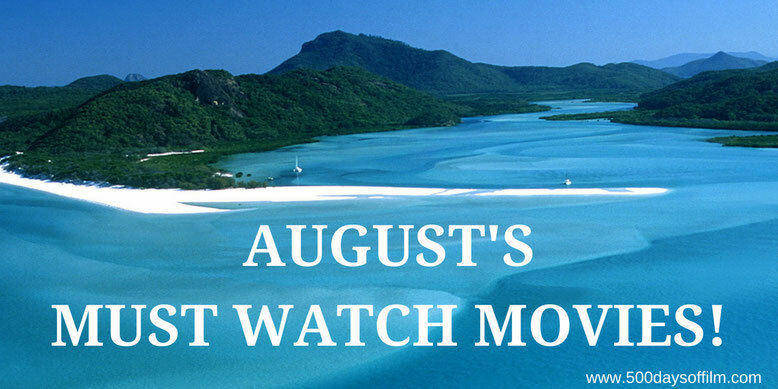 Some interesting films to look forward to in August... what are you most looking forward to watching? Let me know in the comments section below or over on Twitter. You can find me @500DaysOfFilm!